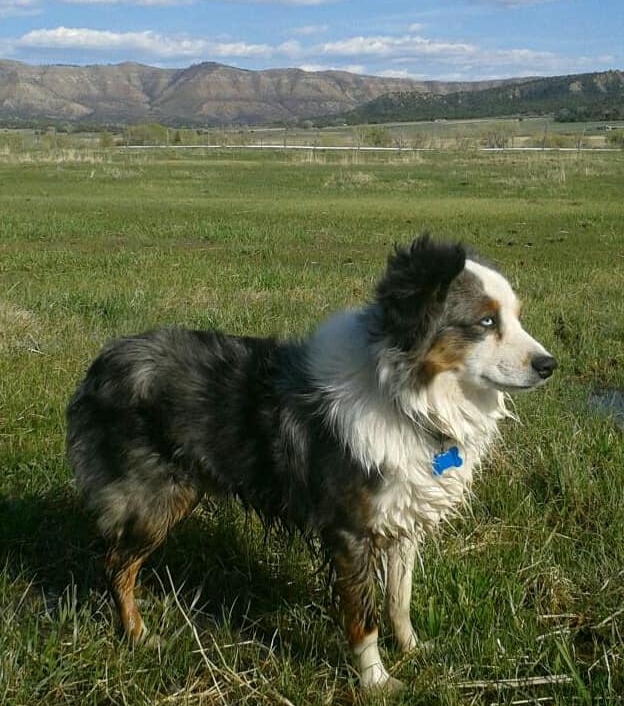 Colorado's best Miniature Australian Shepherds are fathered by our carefully chosen sires. Our boys are energetic, smart and gorgeous. This blue merle has blue eyes full of wisdom. Our first boy and patriarch, Jax is calm, sweet and incredibly helpful with ranch life. He’s happiest when he’s herding the chickens or miniature horses or supervising irrigation. Our home grown boy and the newest addition to our family, Dash brings a happy, eager-to-please joy to the ranch. You can see his loud color and piercing blue eyes from across the yard, whether he’s playing with the gang or checking in to see what his humans need. This red tri with striking blue eyes (very rare combination) is strong with a playful puppy's disposition. He loves to run in our pastures and will sit on a dime. His masculine features and great bone structure compliment our females nicely. Named after Mt. Baker in Washington, this gorgeous black tri has deep bronze and intense blue eyes. His favorite pastime is to go four wheeling with his people. His coloring and eye combination is very rare. Trigger mimics his sire, Sniper, in his enthusiasm for life. He is a small, blue merle Aussie with a huge happy heart. He wiggles and dances at the mere mention of his name. His marbled eyes express his utter devotion to his family.